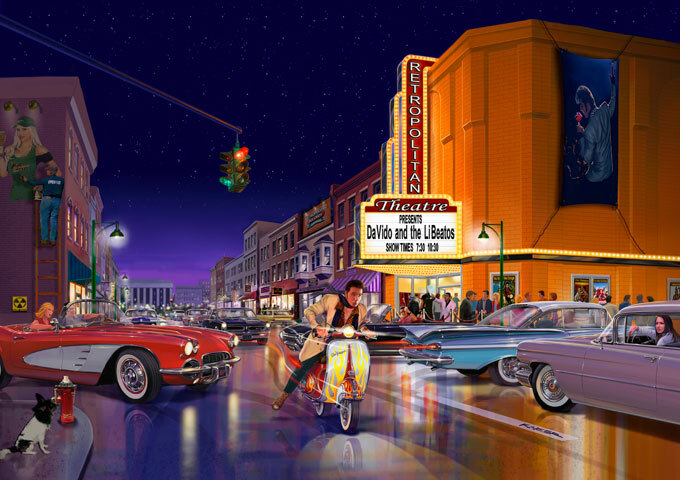 Home Reviews DaVido and the LiBeatos: “Running Every Red Light” – 21st Century rock n’ roll! DaVido and the LiBeatos: “Running Every Red Light” – 21st Century rock n’ roll! If you grew up in the 60’s, the opening bars of “Running Every Red Light,” immediately conjures up images of the swiveling-hipped rock n’ roll that will make you sit up and smile. Only this time around DaVido and the LiBeatos throw in a big, brass and all, Broadway styled production, with a modern day edge. This song will reach your soul with its powerful and upbeat energy, relatable words and gut wrenching vocals. And it’s the vocals that offer the trump card here! Singer and songwriter DaVido, is a man who has the kind of voice that can sing any type music…pop, rock, soul, country, big ballad, jazz, gospel, R&B, rock n’ roll, dance, love songs, big band, blues, and I sure, if he wants to, even opera! DaVido’s voice runs the gamut from a whisper to a howl, from a melancholy dirge to full-blown stomping retro-tinged rock n’ roll within 4 minutes of the track, “Running Every Red Light,” taken off his album, “Retropolitan Theatre”. The artist, the performance, and the production present a unique listening experience. Sit back and let the track play. You can immediately feel yourself in another time, maybe in a Sun Records recording studio, watching the artists jam together and lay it out in one single take with high flying, electrifying energy. Elvis Presley, Carl Perkins, Roy Orbison or Jerry Lee Lewis… and now deep into the 21st Century, DaVido and the LiBeatos bring it home in a modern-day, bigger and better, power-pop style. And all the way through they don’t lose the 20th Century authenticity. If you love the crooners, but can’t take too much of the Vegas lounge schmaltz, “Running Every Red Light,” is the track to get: DaVido growls, he soars, he hits notes that a man has no damn business hitting. 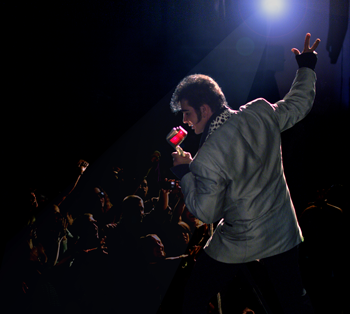 His versatility, his soul-touching voice, and his charisma all shine through on this artistic endeavor. I fully recommend “Running Every Red Light,” for all ages with all different tastes in music.